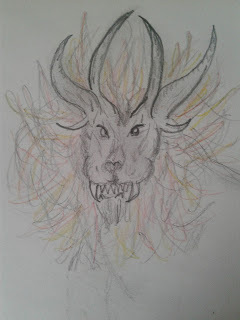 I am certainly no artist, but I wanted to play around with the image I have in my mind of a beast in my novel. His name is Danava. This isn't a perfect representation, but as I said, I'm no artist.